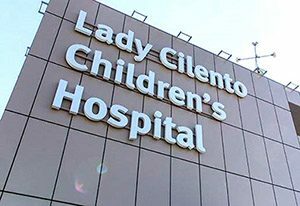 Named in honor of Phyllis Dorothy Cilento, the Lady Cilento Children’s Hospital (LCCH) replaces the Royal Children’s and Mater Children’s hospitals. The hospital is setting new standards in services and facilities for patients, families, visitors and staff by enabling access to care, advice and support all in one location. The design concept of the hospital is based on a living tree and also allows for future expansion and has won the architects the Future Health Project Award in the 2013 Design and Health International Academy Awards. Queensland Health is a department of the Queensland Government which operates and administers Queensland’s public health system. This department identified that the treatment and management of pediatric health in their current facilities were out of date with contemporary global health provision practice and as a result invested $1.5 billion to build a new state of the art facility that rivals best practice for pediatric care anywhere in the world. Programmed Electrical Technologies supported Molex’s bid into this open-specified project based on technical compliance to and exceeding Queensland Health’s specification and the pricing and support (Brisbane, Melbourne, USA, Europe and Asia) involved at different stages to bring a solution together, as the project evolved to accommodate new challenges, growth and structure that Molex put in place to secure the project. Being the primary pediatric care facility for Queensland, as well as the Disaster Management Control Center which can back up and support other centers, it is mission critical that telecommunications services are robustly manufactured, installed and supported through provision of multiple redundant paths should one physical link fail. LCCH has certainly provided for this contingency with diverse cable paths designed into the site to ensure communications links are not removed from the care provision function of the site. The project required the installation of over 23500 Cat6A U/FTP field outlets, over 3700 OS2 Fiber outlets, over 800 Cat6A U/FTP Rack Ties and over 650 OS2 Rack Ties. The site consists of 19 levels (including basements) and is constructed of concrete slab with an Appolic façade. The architectural design is based on the Jacaranda Tree, a large tree native to the State of Queensland which spreads its branches across a wide area. The LCCH site also does this with a network of trunks and branches running throughout, connecting the inside with the outside. The LCCH site delivers a range of LAN network speeds of up to 10Gb as required by operational need and bandwidth intensive applications. Included in this is the provision of telemedicine, robotics, prosthetics, digitally-integrated operating theaters and obstetrics. Further, the site provides network connectivity through over 1100 wireless access points, patient entertainment, mobile duress, CCTV and nurse call also over the Molex structured cabling network. The use of Molex’s Cat 7A cable essentially future-proofs the site for years, as advances in technology and bandwidth requirements are more easily serviced by existing 1.2GHz cabling plant over and above the 500MHz of Cat 6A. The use of pre-terminated fiber cable in lieu of traditional splicing environment saved considerable sums in both labor and dollar costs. The use of Molex’s Cat 6A Angled Patch Panels halved the usually required volume of horizontal management thereby doubling the potential volume of ports per rack. Tight time frames and difficulties accessing deliveries to the project site due to its inner city location were real challenges faced during the project. Molex worked with distributor Pacific Datacom to provide logistics support by storing product ordered in advance, offsite and co-ordinated deliveries to the site as required. This ensured the project was completed within the stipulated deadlines. Pacific Datacom’s support and involvement throughout this project was imperative to the smooth logistic management and delivery of Molex product into the site. Molex’s PowerCat 6A side entry outlets and our smaller cable diameter Cat6A cable were the winners in this project. A lack of adequate cavity depth across the site meant that use of side entry jacks was imperative in delivering the technical outcome. In addition, the ability to purchase and install smaller cable baskets also led to the delivery of cost savings. In November 2015, Programmed Electrical Technologies won the State and National Awards for the “Voice/Data” category for their work on the hospital.